We started our series about keeping up good cheer till Christmas with a bid to deck your halls so you can enjoy their beauty when you get home every day. Our next tip for you is to make plants a part of your life. At this time of year, bursts of sunshine are few and far between. While plants aren’t quite as sunny as the sun, they’re the next best thing. 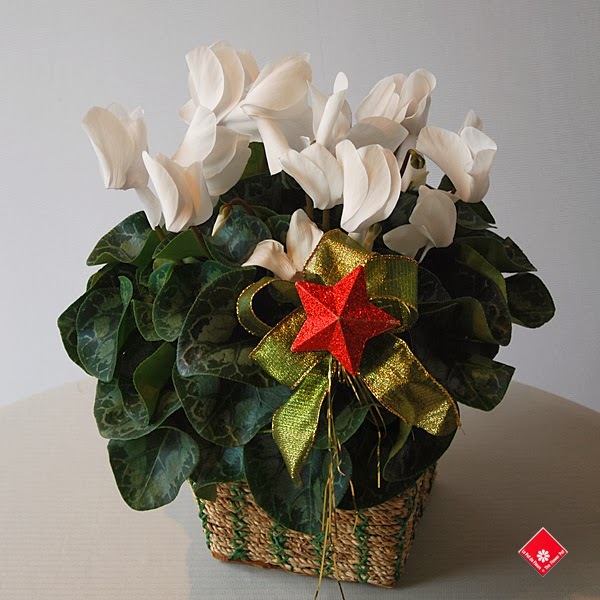 We recommend our cyclamen, a gorgeous plant that starts blooming in the fall and grows all winter. Your holiday cheer will last long past winter vacation, and by the time it fades, the spring will have reared its head to get your spirits right back up to where they should be.